Man apparently I have a hard time reading a list. Somehow I glazed over yesterday's challenge of something that makes me happy. Yesterday's challenge and today's kind of go hand in hand as something that makes me happy is daisies and something that reminds me of my mom is also daisies. So enjoy two days worth of daisy posts! 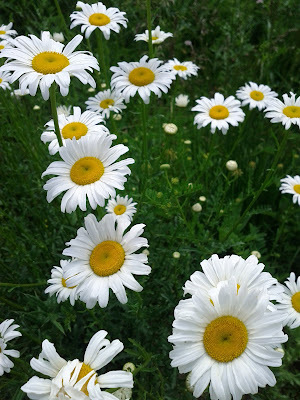 Every spring in Dayton the roadsides would go white with mass amounts of daisies. Every spring I would want to put over on the interstate to take pictures and lay in them. But I refrained. Luckily one day I was able to get close to a patch. It's hard not to be happy when you are surrounded by such a happy flower. It's Mother's Day and I don't have the option to share it with my mother. It's a holiday that I will never again celebrate, not for myself and not with my mom. But every year I take the time to remember her and how amazing she was. Having daisies around is one of my simple ways to help me remember. 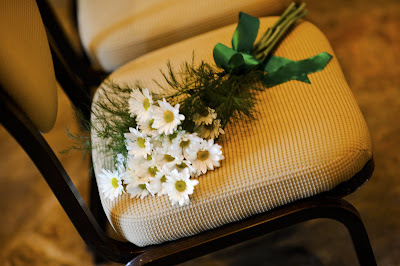 Be it having fresh daisies, a picture, a necklace or art. At my wedding a bouquet of daisies sat on the closest chair to me as a memorial for my mom.